Flooring is an important element in home design and the color of flooring is one of main factors that you need to decide before working on other aspects of your home design. 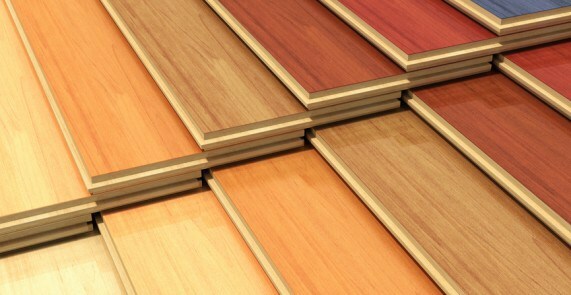 Choosing the right colors for laminate flooring in Vancouver can be a challenge as colors mainly determine the mood of your interior. Therefore it is essential to pick the right color combinations that work best for your home renovation project. Selecting the right colors can make a significant visual impact on your home design as to how the space will look like. You are able to make rooms in the house seem larger, smaller, wider, narrower, deeper, higher, lighter and warmer. When choosing the design of your laminate flooring, it is important to consider how you can incorporate your favorite color into the overall color scheme of the home design. Light colored flooring will enlarge the room while dark colored flooring make a room look smaller. Colors selected for the laminate flooring design will alter the results of the interior and you need to match the flooring with other elements as mentioned above in order to inject your personality into the home design. Choose a pale colored flooring if you want to brighten up the room as they reflect light. It will make the room lighter, timeless and look larger visually. However, please do not go overboard with the color of your flooring with this rule as you can create a bad atmosphere for the room with a flooring that is too light in color. Pale colored flooring works well with many colors for the walls and furniture. There are a wide variety of color combinations that you can use with pale colored flooring. Dark colored flooring can be matched with walls in light colors to create contrasts for the color scheme of the room. It can also be used with dark colors for highlights and accessories. Choose colors such as off-white or white with a dash of a different dye instead of harsh white. Include colorful accessories in the interior liven up the atmosphere for the room as a room with too many dark color elements will look gloomy. Check out the wide selection of laminate flooring at Vancouver Mouldings and Floors and feel free to email us at bclaminate@gmail.com if you have any question. Our friendly and experienced team are around to assist you to create your perfect dream home in Vancouver.